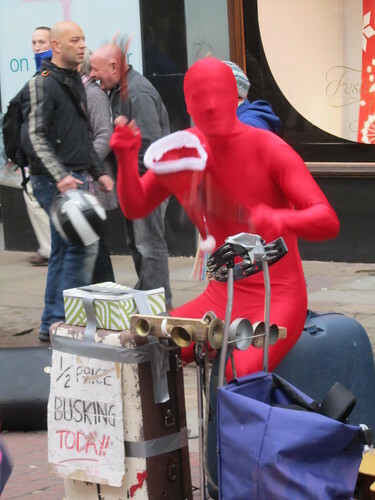 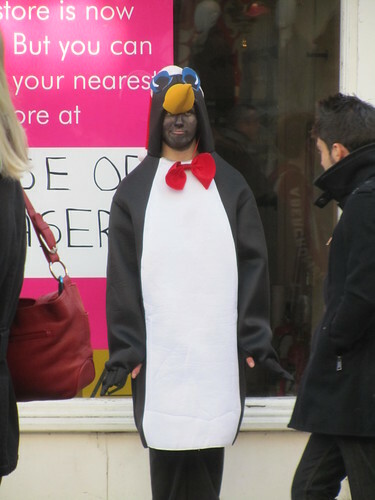 Strange red man busker in Chichester just before Christmas. 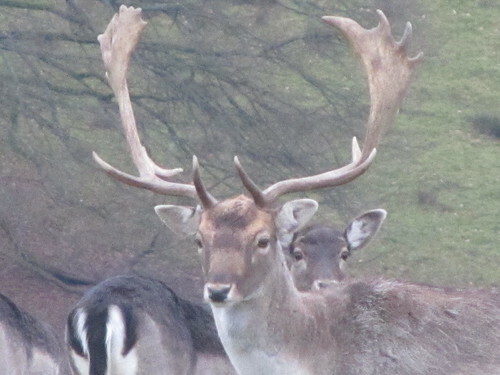 Deer in Petworth Park, West Sussex. 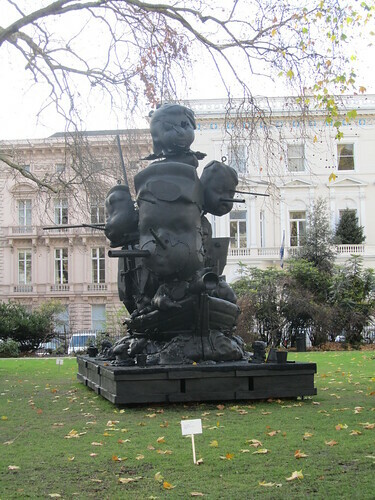 On view until 15 February 2012. 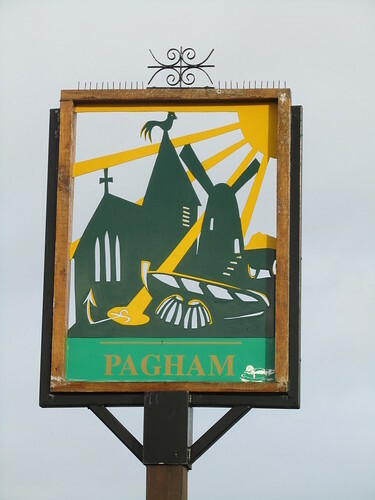 A sign as you enter Pagham. 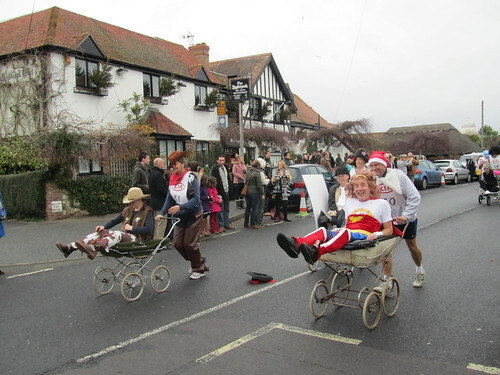 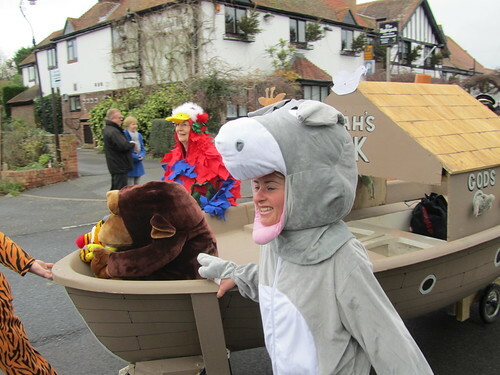 In Pagham there is a curious Boxing Day tradition – the Pagham Pram Race. 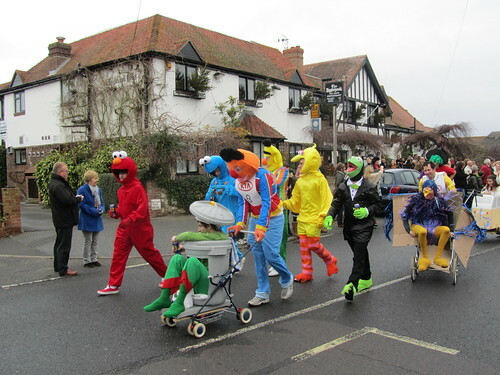 Basically, the entrants dress up in fancy dress costumes and race between three pubs over about three miles, while pushing a pram with at least one of their team riding in it. 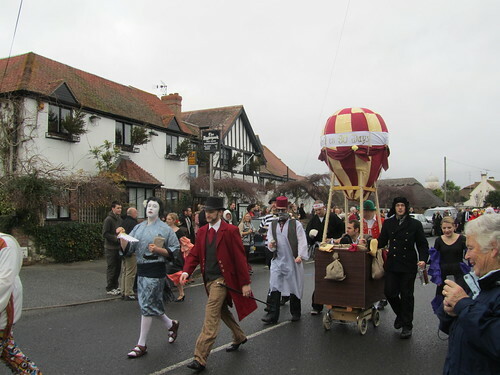 They all have to drink a pint at each of the three village pubs. 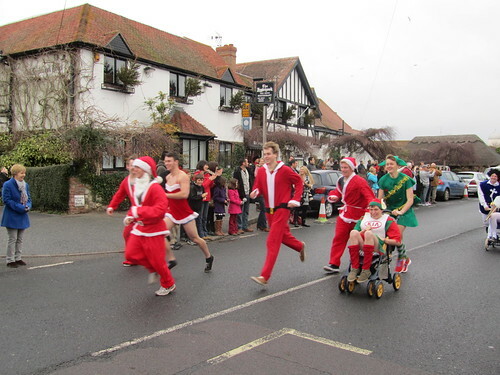 The race raises money for local charities. 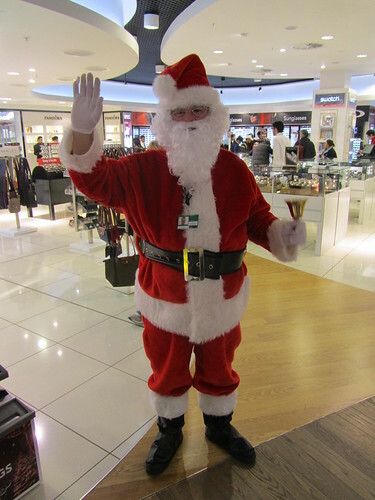 Merry Christmas from Picturing England!